Engine: 5.7L V8 HEMI VVT, Transmission: 6-Speed Automatic 66RFE, Lone Star Badge, Bright/Bright Billets Grille, Leather Wrapped Steering Wheel, Steering Wheel Mounted Audio Controls, Lone Star Regional Package, Underhood Lamp REQUIRES Texas ship to. 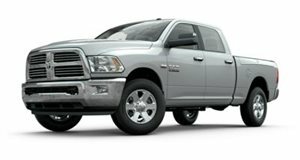 Engine: 6.4L Heavy Duty V8 HEMI w/MDS, Transmission: 6-Speed Automatic 66RFE, Lone Star Badge, Bright/Bright Billets Grille, Leather Wrapped Steering Wheel, Steering Wheel Mounted Audio Controls, Lone Star Regional Package, Underhood Lamp *Upon selection of this pkg, the cost of powertrain components will be added* REQUIRES Texas ship to. Engine: 6.7L I6 Cummins Turbo Diesel, Transmission: 6-Speed Manual G56, Lone Star Badge, Bright/Bright Billets Grille, Leather Wrapped Steering Wheel, Steering Wheel Mounted Audio Controls, Lone Star Regional Package, Underhood Lamp *Upon selection of this pkg, the cost of powertrain components will be added* REQUIRES Texas ship to. Engine: 6.7L I6 Cummins Turbo Diesel, Transmission: 6-Speed Automatic 68RFE, Lone Star Badge, Bright/Bright Billets Grille, Leather Wrapped Steering Wheel, Steering Wheel Mounted Audio Controls, Lone Star Regional Package, Underhood Lamp *Upon selection of this pkg, the cost of powertrain components will be added* REQUIRES Texas ship to. Engine: 6.7L I6 Cummins Turbo Diesel, Transmission: 6-Speed Automatic Aisin AS69RC HD, Lone Star Badge, Bright/Bright Billets Grille, Leather Wrapped Steering Wheel, Steering Wheel Mounted Audio Controls, Lone Star Regional Package, Underhood Lamp *Upon selection of this pkg, the cost of powertrain components will be added* REQUIRES Texas ship to. Engine: 6.7L I6 Cummins Turbo Diesel, Transmission: 6-Speed Automatic 68RFE, Lone Star Badge, Bright/Bright Billets Grille, Leather Wrapped Steering Wheel, Steering Wheel Mounted Audio Controls, Lone Star Regional Package, Remote Start System, Underhood Lamp *Upon selection of this pkg, the cost of powertrain components will be added* REQUIRES Texas ship to. Engine: 6.7L I6 Cummins Turbo Diesel, Transmission: 6-Speed Automatic Aisin AS69RC HD, Lone Star Badge, Bright/Bright Billets Grille, Leather Wrapped Steering Wheel, Steering Wheel Mounted Audio Controls, Lone Star Regional Package, Remote Start System, Underhood Lamp *Upon selection of this pkg, the cost of powertrain components will be added* REQUIRES Texas ship to.